I bought 2 pair of rimless varifocal specs for less than the price I paid for one from a well known high street spectacle shop. up of being ripped off by the high street spectacle shops to take a chance and buy a pair from Select Specs. They won't be disappointed. Excellent product very pleased but the time advertised for delivery should reflect the actual delivery time, but overall well done. ORDER PLACED 10/05/2018 DELIVERY 09/06/18 TO YORK UK ! I raised a Customer Support Ticket on 2nd June 2018 as I had not received my order. I was told that my order had been Shipped from their UK warehouse on 25th May 2018 ! When the order arrived this weekend (10th June) it was delivered by Royal Mail in a 48 hour plastic envelope. The outer packaging was un-damaged. 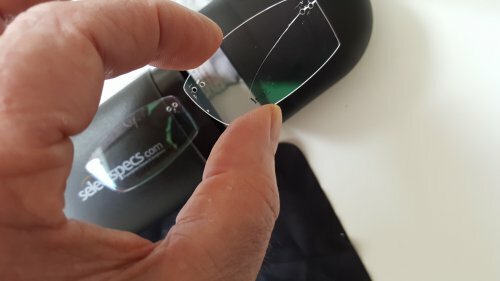 However, when I opened the Plastic Glasses case the Rimless spectacles were intact, but there was a clear plastic envelope containing a second pair of Lenses - one of which had a crack from the fixing holes at the bridge running left to right diagonally. These had clearly been packed like that from the factory, as there was no exterior damage to the packaging or the plastic case. To blame Royal Mail is, and was indefensible. Last week I had a 42kg parcel delivered next day all the way from Dundee. I will not be placing another order with Select Specs. Hi, sorry to hear about the delay with delivery. As you have advised they were shipped to you on the 25th May, the 48 hour service normally arrives with most customers within 2 days. 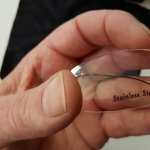 With regards to the damaged lenses, to clear this up and clarify, these lenses are the manufacturers 'demo' lenses, they contain no prescription and should be kept in case of return. 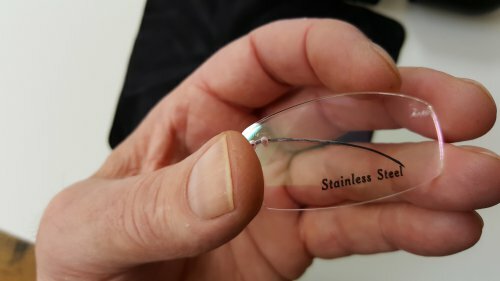 This cracking has likely occurred from when we dissembled the frames ready for your prescription lenses. 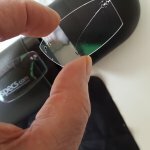 Can you confirm if your actual glasses, with prescription lenses, are ok? We assume they are as no mention has been made regarding this. Thank you. Value for the money... very happy with them. I will buy a sunglasses now. I am happy with the product, but not with waiting a month for the product to arrive to me in Australia. I had expected up to a 2 week wait from the date of order, but feel I missed out on things I could have been enjoying with greater clarity during the extra delay. Hi Jenny, your order was completed within our stated 7-10 working day timescales. Shipping time is in addition to our production timescales, this can normally take around 1-2 weeks to Australia.